My wife kept complimenting on the colour and quality of this shirt. 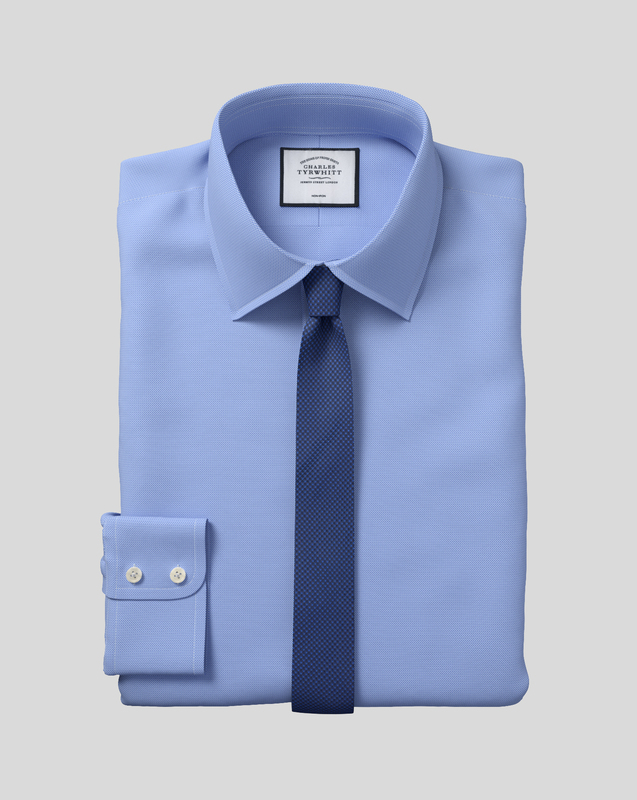 The royal blue definitely stands out from your usual blue shirts. CT's extra slim shirts are so baggy!! They're more like Regular Fits. One of the reasons why I rarely try CT and prefer TM Lewin, Moss Bros or Next. It was a stunning shirt, however. Response from Charles Tyrwhitt: While it's ever such a shame the fit of this shirt wasn't ideal for you, we do appreciate your very kind feedback on the quality and look of the material. You may be keen to know we now offer a Super Slim Fit in some of our formal shirts - ideal for those customers who want the slimmest and most modern cut. I hope you will give these a try! Response from Charles Tyrwhitt: With the Panama weave being one of the thickest weaves we currently offer, this is certainly most alarming. It is usually regarded as a lovely thick winter shirt! Needless to say, you are welcome to return this one to us and request either an exchange or refund - please just access our online return portal at www.ctshirts.com/rebound to get started. Once we have the shirt back from you, we'll be able to inspect it to discover what may have gone wrong on this occasion.